When caring for patients and clients at risk of pressure sores, it's vital that you can provide a level of pressure relief suitable for each user's need. The Casa Medium Risk Pressure Relief Mattress uses profiled single grade foam to provide effective pressure reduction for those at medium risk of developing pressure ulcers. 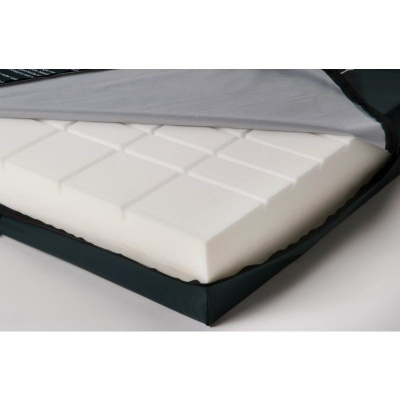 Using profiled single grade foam, the mattress works to deliver effective pressure relief suitable for patients and clients at a medium risk of pressure sores. With a waterlow score of 10, this makes it perfect as a preventative mattress, helping to reduce the risk of pressure ulcers from forming and aiding in patient care in the long term. To help you ensure hygiene is maintained and to protect the foam, the mattress includes a vapour-permeable PU-coated cover. With a two-way stretch design, it's easy to apply and remove for washing, making infection control and hygiene maintenance easier.